Home » Entertainment » You buy a bag… we’ll plant a tree. 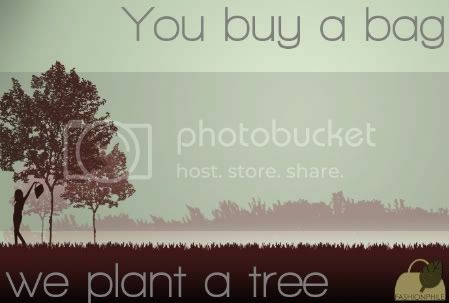 You buy a bag… we’ll plant a tree. We can’t ship our bags without proper packing materials, boxes, invoicing etc. so we hope that this will off-set our consumption here around the office. I mean, we all know that Re-use is actually even more efficient than Recycling. And, that’s all we do around here at FASHIONPHILE. How green can you get? And, if you don’t buy into the whole global warming thing… hey, who doesn’t love trees?